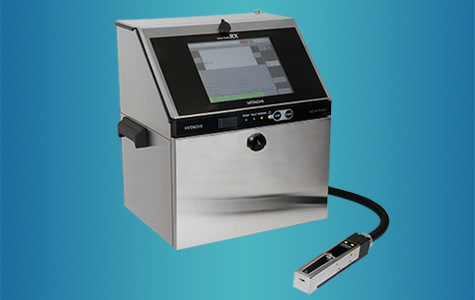 Hitachi industrial continuous inkjet printers deliver state-of-the-art technology and advanced features to enable high-speed marking and coding operations. Besides, the Hitachi inkjet printer technology also allows non-contact printing flexibility to mark on rough, uneven, or varied surfaces from any direction. 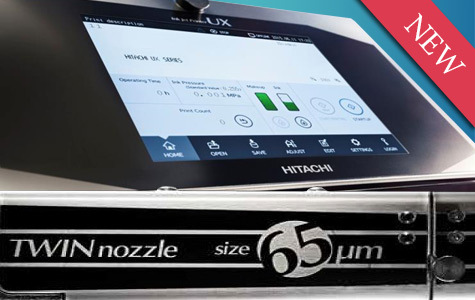 Industrial continuous inkjet printer Hitachi UX is currently the best printer on the market. The printer simultaneously convenient for the user and safe for the environment. Multiple line printing: 6-line printing is now available. Read more... Industrial continuous inkjet printer Hitachi RX2-S is a further development of the proven series of Hitachi RX-S. 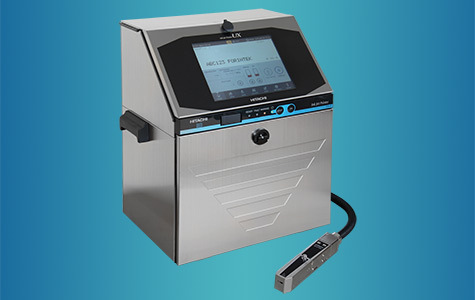 It is an industrial high-speed, small character inkjet printer enabling to print 1-5 lines, depending on the version of the printer. Hitachi twin nozzle printer can print up to 8 lines and is ideally suited to mark company logos or any other pattern previously unachievable with traditional print heads. Having two nozzles on tap dramatically increases the speed of multi-line printing. 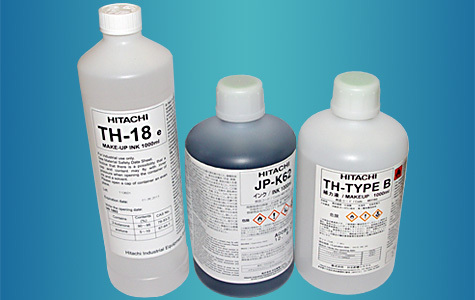 Read more... Hitachi provides different ink types and color inks to meet your unique requirements for Hitachi industrial continuous inkjet printers.